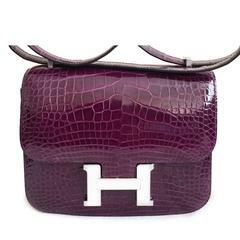 Hermes Genuine Ostrich Baby Bolide Handbag Unused! 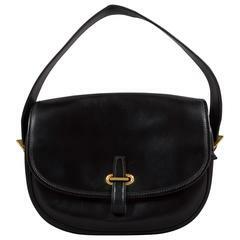 A Rare Limited Edition Hermes 23cm Ebony Box Leather Constance Shoulder Bag. The silver Palladium hardware is inset with a beautiful 'Guilloched' finish, unique to this limited edition bag. In pristine condition throughout, the bag has the Hermes date stamp of G in a square for 2003 and comes complete with it's original Hermes dust sack. From a private collection in Monte Carlo, the bag has been very lightly used.